While so many domestic spaces rely on pre-existing architecture to generate character, it’s not necessarily the only the way to do so. Everyone wants a home with a little charm and a spice, at very least some personality—a place that speaks to them makes them feel comfortable and really feels like the home that they want to live in. So perhaps you don’t live in a revamped warehouse shell with 15 metre ceilings, or an old repurposed lighthouse—there’s many other ways to generate character. It can be a tough thing to do well though. Instilling character in a domestic setting relies on a stealthy and clever implementation of just the right amount of decorations, decor and accessories—too much and you’ll throw the balance out; not enough and your rooms will be lacking still. 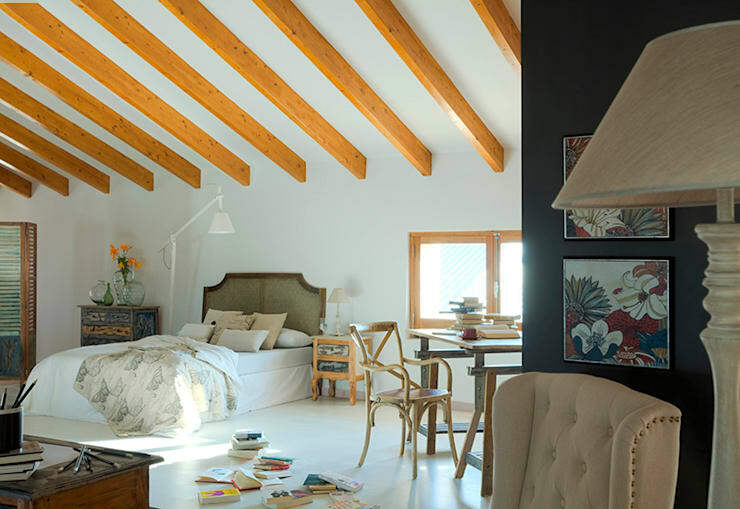 As exemplified by the following great examples, with the right textures, tones and furniture, you can do it—take a walk through, get inspired and make sure your spaces hold just the right amount of charm and allure too. When working with sleek and crisp white tones such as this domestic space, it can often be difficult to imagine how to moderate the starkness and incorporate a softer more liveable aesthetic. The key to achieving this is to maintain a minimal approach, while adding key pieces of furniture or decoration that are charming and homely. 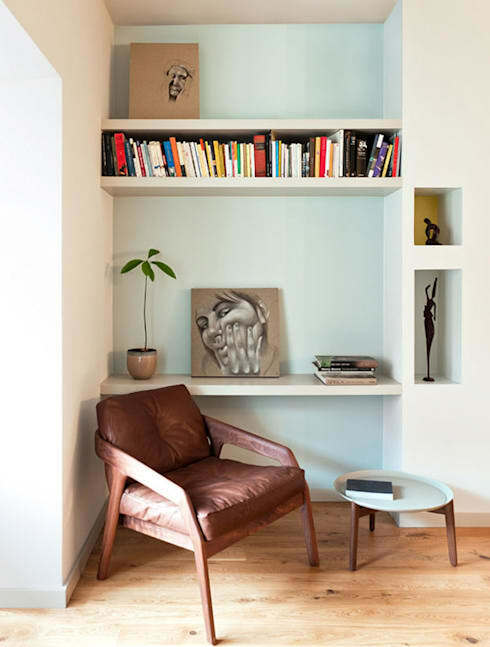 Here this has been achieved by incorporating a bookshelf feature wall. The decorative character-building elements are all kept in one place, as opposed to strewn throughout the space, this ensures the area remains clean and crisp, but has a usable and liveable element. In addition to this, soft satin timber floorboards add an element of comfort and enhancing this further is a pair of Eames-style rocking chairs. This room speaks comfort and sophistication, while clean crisp lines and contemporary joinery keep the space modern and fresh. Eclectic style can be difficult to achieve, it takes just the right amount of carefully chosen pieces to create a space that is stylish as opposed to gaudy and vulgar. Choosing these pieces can however be a daunting task, especially when you have limited space, or a limited budget. Here we see a wonderful example of a small apartment space with a beautifully eclectic arrangement of interior decorations and furniture. To emulate this in your own abode, pick items that are neutral or natural in hue, think timbers, rustic style heritage furniture, and combine this with fresh white walls, clean alabaster linen and contrasting dark feature wall. Add some carefully chosen art prints, glass vases, delicate light and you have yourself a space that bursts with interest and charisma. The contrast between industrial and rustic style furniture and design can seem tricky to achieve, but if executed cleverly can create a space full of flair and panache. 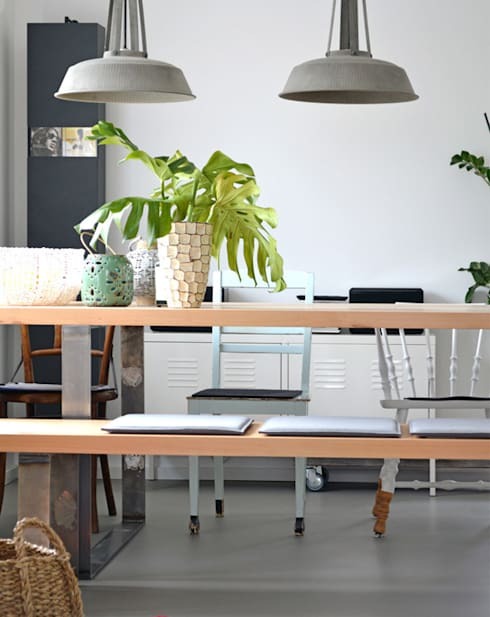 To realise this balance in your own domestic space, mix cool hard surfaces such as polished concrete floors, with vintage whitewashed furniture. Clean white walls can be combined with delicate indoor potted plants, and hanging steel light fittings with wicker baskets and natural textures. Often we think of a luxury bathroom as one overflowing with marble, crisp chrome fittings and towel rails draped in plush fabrics. The truth is, a luxury bathroom need not be restricted to sharp, crisp decor, but can embrace character and charm whilst maintaining a clean sumptuous ambience. 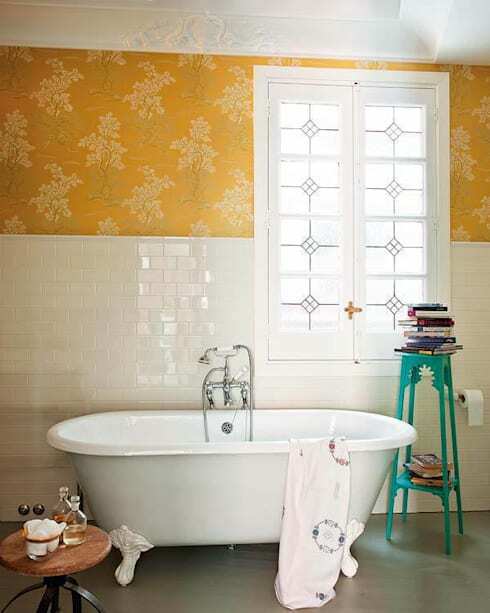 Think outside the box and incorporate attention-grabbing wallpaper, perhaps add a colourful side table adorned with literary classics to peruse while you soak in the requisite claw-footed tub. When attempting to create a sense of personality and allure in your domestic space, less can definitely equate to more. When looking to make our abodes homely and charming, our natural instinct is to fill them with history, old relics from years gone by, but paradoxically this creates an undesirable effect on our living area, causing a crowded and cluttered atmosphere. The trick to conquering this balance is to pick simple pieces of furniture that exude character, but remember to exercise restraint when it comes to adding accessories. This example proves how a simple leather chair, matching side table, coupled with some carefully chosen art can radiate character without compromising style or space.